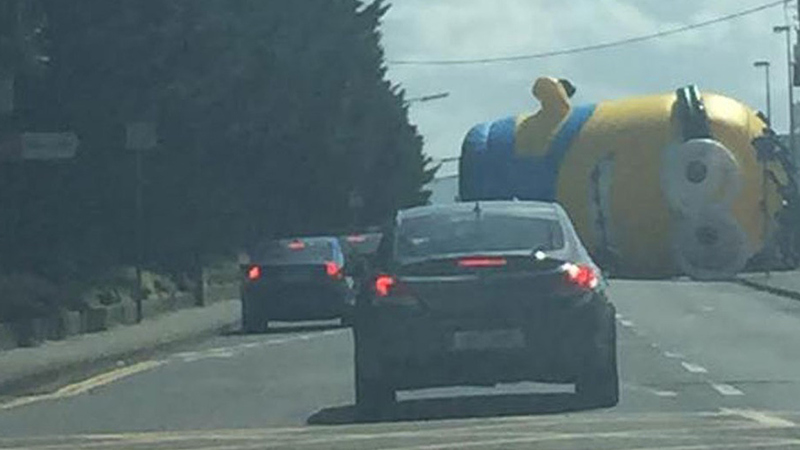 DUBLIN -- A giant minion used for advertising escaped from a temporary fairground in Dublin, Ireland, on Monday. The 40-foot inflatable character blew away during strong winds and across a busy road before falling into oncoming traffic, according to witnesses in the area. There are no reports of any injuries, but the balloon did cause some traffic confusion. The Minion is a popular character from the "Despicable Me" film franchise. This picture shows how the Minion looked on Sunday, as it was being inflated.